In England when you hear the phrase Tally Ho, you are often reminded of hunters on horseback chasing their hounds as they hunt for foxes. It is a tradition that has been around for a long time. The Tally Ho Mobile casino game has managed to take the excitement associated with the hunt and put it into a slot machine that people can win money while playing. Mr. and Mrs. Fox – The foxes have taken over the mansion and they are now in control. The different foods of England – Hot Tea, Strawberries and Cream, Cucumber sandwiches and jam scones are included in this game. Included in Tally Ho are many features that allow the players the best chance at winning. A wild symbol, scatter symbol, free spins, wild symbols and multipliers give the player a great chance at hitting a jackpot. The stallion is the wild symbol. This will replace any other symbol on the screen. It will also multiply any winnings by 2. The bugle is the scatter symbol. Three or more bugles gives the player 10 free spins. Two or more scatter symbols will also be a winner that is paid before the free spins start. This game allows the player to bet various amounts. You can choose the number of paylines that you want to bet on, and you can choose how much you want to bet on each payline. 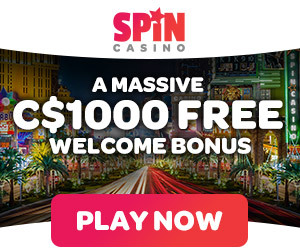 You can bet up to 10 coins per payline. That makes the maximum bet per spin of 90 coins. The maximum jackpot for Tally Ho mobile game is 60,000 coins. Like all of the mobile games there are several things that people look for. The sounds and images of Tally Ho are very good and will help keep the game interesting. It is always good to find a game that is fun to play and Tally Ho delivers on that account. The sights and sounds of Tally Ho will keep the game interesting for a long period of time. If you have never played a slot machine on your mobile device, you might think that it is not something that is easy to do. The reality is that you can set up an account at an online mobile casino in just a few minutes. It does not take much longer to start playing the game that you want and to start winning. If you follow the simple steps, you will be able to play and win on the slots from your mobile device anytime that you want, anywhere that you want.